Telescoping seating maximizes the available floor space in an area while providing a tiered seating area for spectator viewing. It can condense into itself for maximum storage in a limited amount of space. 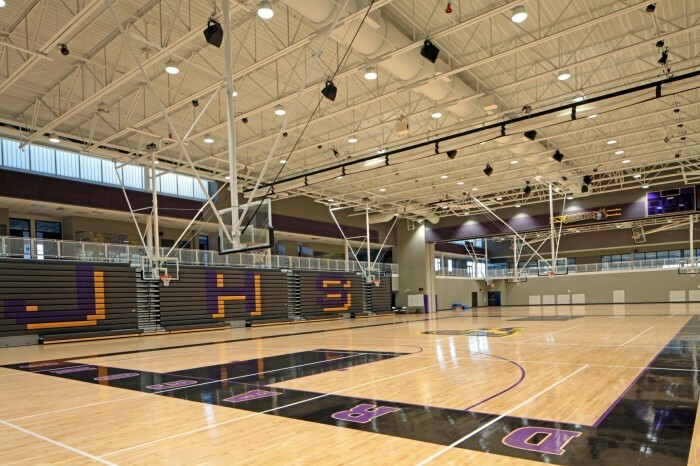 The most common type of telescoping seating are bleachers in a gymnasium. The Dickson Baseball Dictionary first used the term “bleaching boards” to describe the open seating areas around the field in 1877. By the early 1900s, the term had evolved into bleachers to describe both the seating area and the people who sit there. Stahl is utilizing a boom concrete pump to pour concrete for the outdoor playground areas at the new Ladybug Child Care Center in Shakopee, Minnesota.